A vintage staggered or flat pole Mustang / Duo-Sonic pickup with the classic bright tone of the late 60s - tight, snappy with clean highs, a solid bass response with a hollow, woody mid-range. 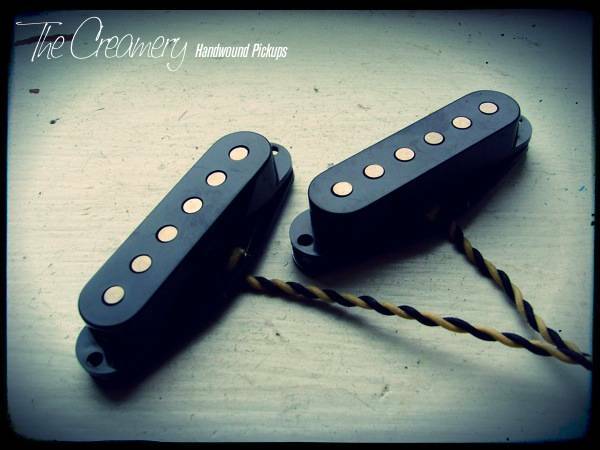 Scatterwound with wax potted coils and flat or staggered Alnico 5 magnets. Medium-Low output. Vintage style cloth covered lead wire. A great late '60s design pickup & tone. A great pickup to play clean or funk - the tone can be rounded out a little by selecting flat stagger magnets.